The Woolly Brew: Color Affection is done! 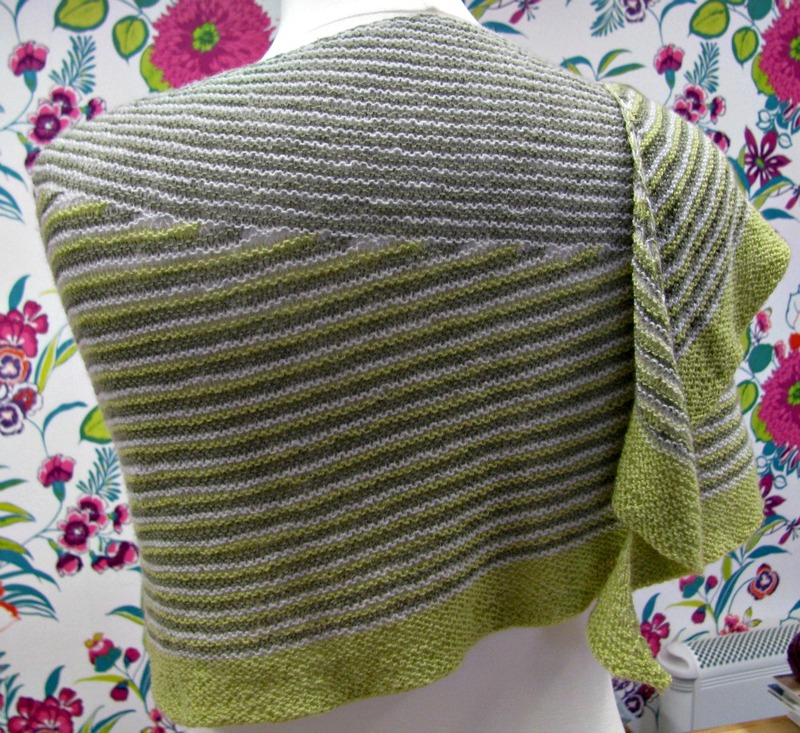 Back in June we highlighted a shawl called Color Affection - it was (and still is) a hot favourite on Ravelry. 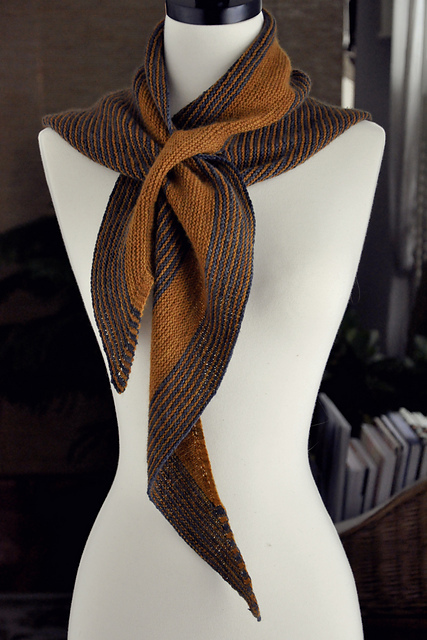 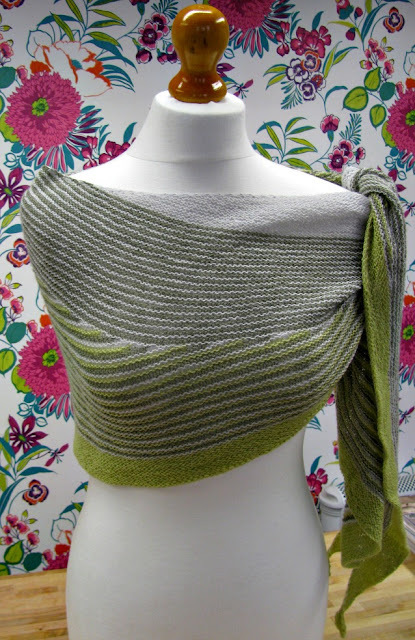 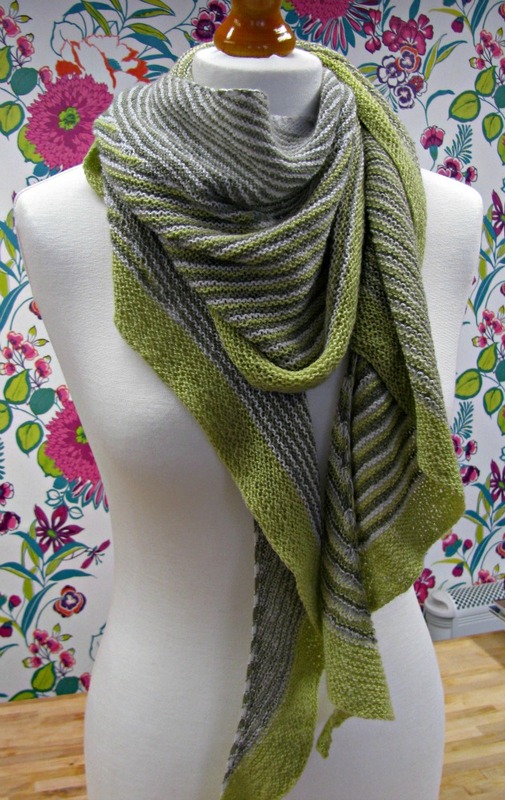 The short rows keep the shawl interesting... just as you think you're tiring of the garter stitch, the pattern changes to introduce a third colour and some short rows. I don't think I'd like to knit it to a deadline but rather keep it as a sofa project - something to dip into or focus on when time allowed.